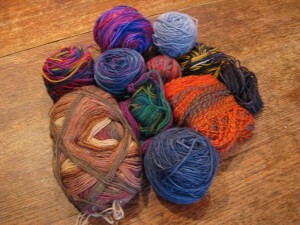 This post is part of Knitting and Crochet Blog Week: The Photography Challenge Day. Welcome if you are here for the first time. 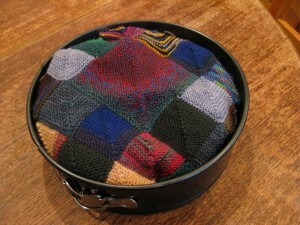 I’m a big fan of knitting socks, but there is always the problem of what to do with those silly little leftovers. Here is a solution that I have found useful. I hope you will too. If you want some more helpful instructions for this, try the Sock Yarn Blanket pattern by The Heathen Housewife. 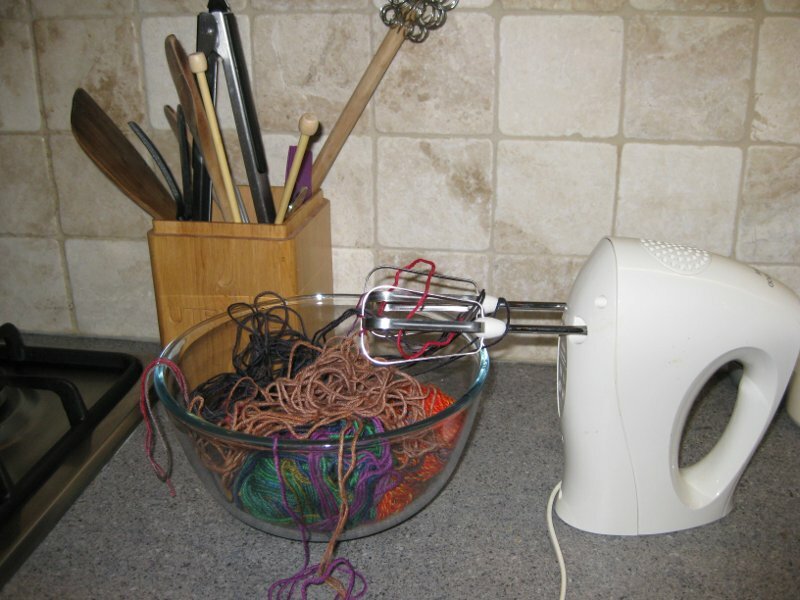 *I wouldn’t recommend actually baking the yarn. Better to cook it more slowly using two pointy sticks and some mysterious waving of the hands. Works every time, and you usually don’t set the house on fire. Great idea. 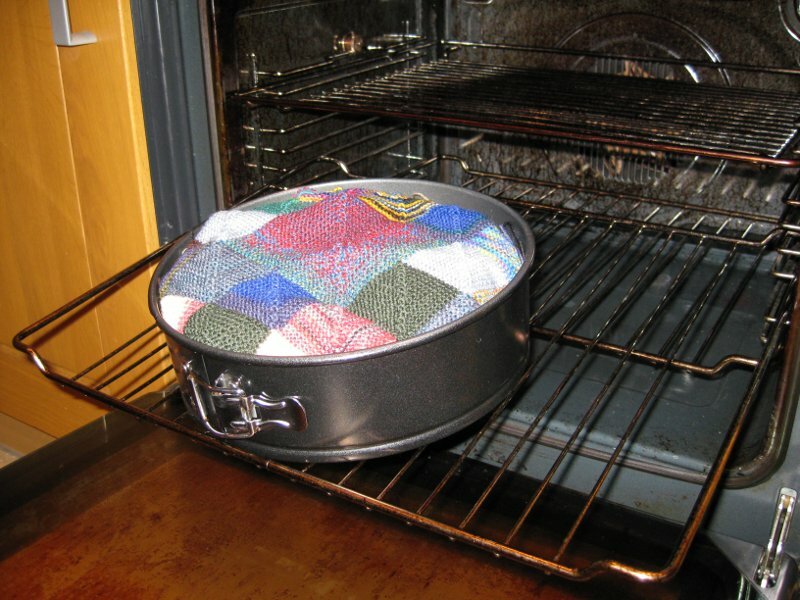 I love your blanket cake. Coooor – that’s a lovely blanket! And a creative post too. Enjoy the rest of KCBW! Hahahaha, I’m going to try that recipe! Do you think it would work with other patterns too ;-)? Nice post! If you look closely, you’ll see that it is only the top layer that is mixed up. It is all untangled and rewound now. 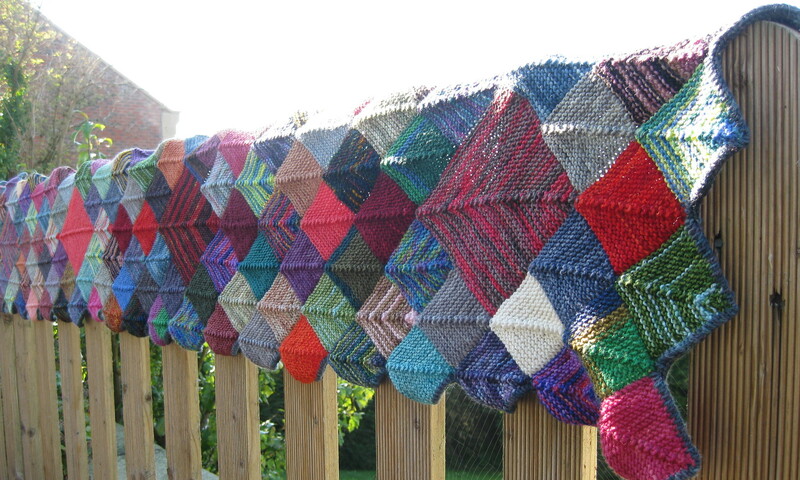 Oh, I admire sock yarn blankets – yours is lovely. Fun post! Yarn cake! Delicious, and it’ll never spoil! That was AWESOME! Gives new meaning to the phrase, “Gotta go cook something up…” Very creative! Weird, I always thought blankets were made by cooking yarn… Are you sure it’s better done by waving sticks around ? AWESOME! That is the best thing ever! How to bake yarn! This post is absolutely adorable. Love the mixers! 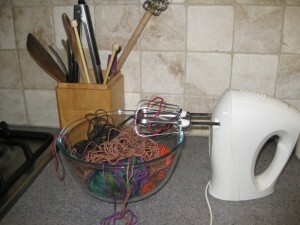 I love the photo with the mixer. Clever idea! How clever. I especially like the mixer, too. Yarn Cakes . . . Blanket Cakes .. . .Chocolate Cake . . .
That’s a way to have your cake and eat it too.